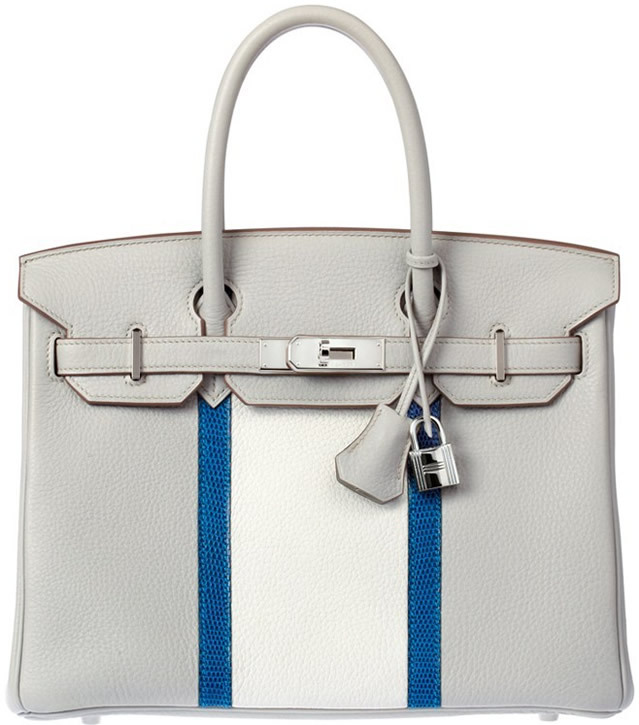 The Hermes Birkin is synonymous with classic. But what do you think about Hermes’ take on the Birkin Club for Spring/Summer 2011? The bag features stripes (some refer to them as racing stripes). Tri-colored, we think the colors are gris, perle and Mykonos blue lizard. The overall vibe of the Hermes Birkin Club has a younger feel to it – something meant to be seen as more fun, with even a tad of a sporty finish. Do you prefer the classic Birkin or the Birkin Club?